Earlier in the month, I had the opportunity to go to our local TV studio Cogeco TV6 and help with the sound mix for a live taping of the Sarnia band "White Fire Reed". It was new experience for me as a sound tech and I learned much during the session. subwoofers on either side of the stage. In the studio, only the lead vocalist had a monitor speaker while the rest of the band used their own ears to hear. Of course, the one time I really needed my trusty headphones, is the day I forgot to bring them. It would have been better if I had a monitor speaker to use during the taping so that I could hear the mix separately from the control room speakers. Instead, there was one person going back and forth to the control room to listen to the end result and then coming back to me to make the changes. Still, it was a fun, learning experience for me and I look forward to watching the broadcast of the segment in early January 2013. 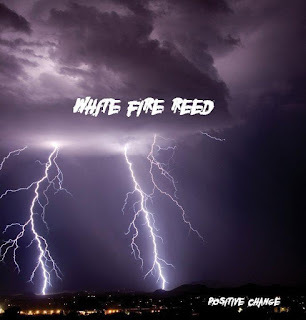 "White Fire Reed" has decided that they want me to be their sound technician for their future gigs. I am looking forward to work with them more in the coming new year. Currently, the band has their 1st CD out called "Positive Change" and will be out gigging to promote it again in the new year.